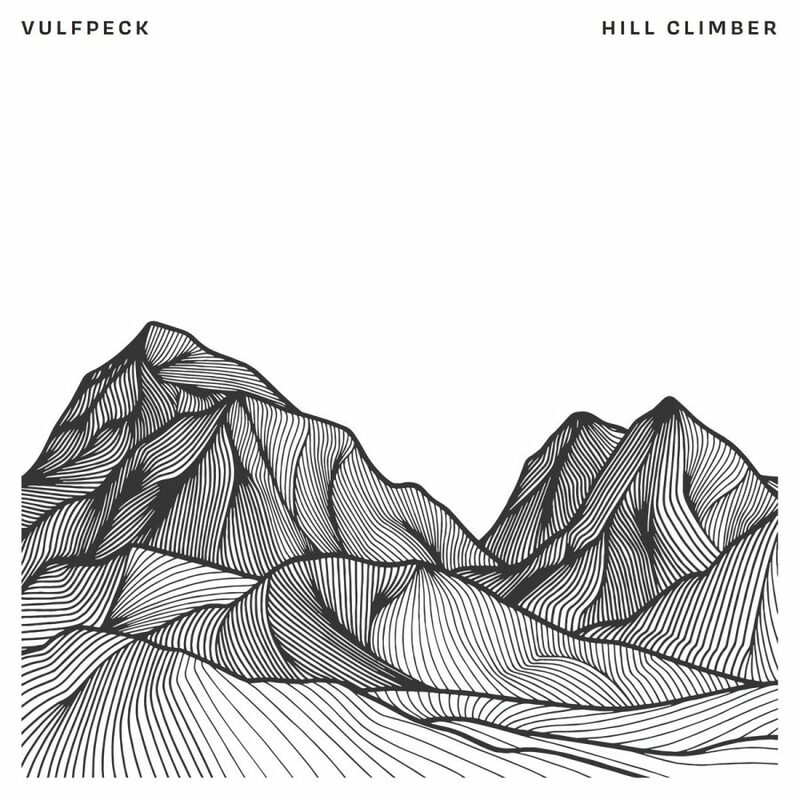 Hill Climber, released Dec. 7, 2018, is Vulfpeck’s fourth studio album and eighth project total. Vulfpeck releases music on their own label, Vulf Records, run by front man Jack Stratton. Since their inception at the University of Michigan in 2011, Vulfpeck has been paving the way for funk to enter the 21st century. Combining James Brown with the mixing and production of the internet age, Vulfpeck’s style nearly forces listeners to tap their feet with the beat. Their fourth studio album Hill Climber combines the best aspects of their previous projects to create a full range of music that epitomizes what modern funk is. The album leads with Theo Katzman’s “Half of the Way.” Katzman is the band’s drummer, but also sings and plays guitar on a number of tracks. It is a more pop-influenced track than the rest on the album, but sets the scene for the upcoming album with an upbeat tune. The lyrics tell the story of romance, common through many of the lyrical songs in the album. “Darwin Derby” follows as track two, and is in no way similar to track one. “Darwin Derby” is best remembered by its overlapping rhythm guitars and simple but catchy bass line. What sticks out most about the track, however, is its nearly nonsensical lyrics about Darwin’s theory of evolution. Singing about flying unicorns and bass fish “sliding on its hands and knees,” the song almost appears to be a simple excuse to have fun. It is one of the best tracks musically, as the strange lyrics play perfectly with the energetic and fun instrumental. Katzman’s third song, “Lonely Town,” follows “Darwin Derby.” Both tracks were released as singles in November of 2018, and have become some of Vulfpeck’s most popular songs, racking up over 400,000 plays each as of the album’s release. “Lonely Town” is a simple tune with a happy beat and sad lyrics. Its simple acoustic instrumentation lends itself to casual enjoyment, and has become a fan favorite because of it. The fourth track, “Love is a Beautiful Thing,” is a cover of a Katzman song from his 2017 album Heartbreak Hits. The Vulfpeck version, with Katzman on vocals along side guest vocalist Monica Martin, creates a more emotional and atmospheric tone than Katzman’s original. It is a slow love song, and the harmony between Katzman and Martin creates an intimate mood over the whole piece. “For Survival,” the final track of the lyrical pieces, features guest vocalist Mike Viola. Viola’s slight southern twang combines with the player piano-esque keyboard to create what is nearly a western. The use of a vibraphone also adds to the western feel. The improvisation is evident on every instrumental track. The chemistry between every member of Vulfpeck allows them to record what is essentially a jam session into a full song. The spirit of a jam session is what really comes through in their music, and is what has made them a large following, especially within music circles. “Lost My Treble Long Ago” follows “Soft Parade” as the seventh track of the album. It was released as the first single in September of 2018. Focusing purely on a bass line by Joe Dart, the song shows the improvisational skills of the band’s members as each one plays over the catchy line. The next track, “Disco Ulysses,” draws the most from the band’s 1960s and 1970s funk inspiration. Catchy guitars build over Katzman’s almost drum machine-like playing to create a perfect platform for Vulfpeck’s instrumental expertise. Dart, guitarist Cory Wong, and keyboardist Woody Goss have exciting solos over the beat, which is difficult not to dance to at times. The tight instrumentation of this track solidifies it as the best track on the album, a must-listen for anybody looking for a fun song. 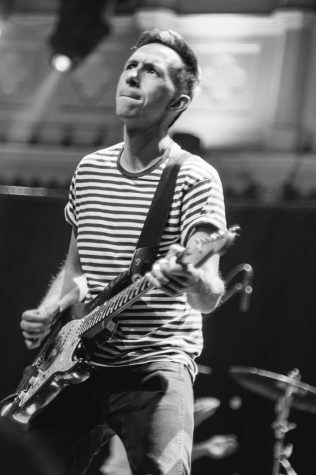 Guitarist Cory Wong is featured on most Vulfpeck tracks. His own solo project, The Optimist, was released in August of 2018 and features Joe Dart from Vulfpeck. “The Cup Stacker,” the penultimate track on the album, continues the trend of solid instrumentation and creative improvisation. Focusing more on keyboardists Goss and Jack Stratton, who is the band’s front man, “The Cup Stacker” is a solid, though not outstanding, addition to the album. The final track, “It Gets Funkier IV,” is a nod to Vulfpeck tradition. In November of 2011, Vulfpeck released “It Gets Funkier,” a slow track focusing on a simple drum pattern. Over the last seven years, this has been built upon again and again, leading up to “It Gets Funkier IV.” Each iteration of the song has been faster and more ‘funky’ than the last, with more complex bass lines and additional instruments. In the 2018 addition to the series, Vulfpeck invited guest drummer Louis Cole, a respected artist in his own right, who adds the unbelievably quick and accurate drum pattern that brings the funk level to 11. Vulfpeck’s Hill Climber is an exhibit in how far funk revivalism has come. Vulfpeck’s ability to improvise and perform complex instrumentation, combined with their creative and passionate lyrics, makes nearly every song memorable. Hill Climber is Vulfpeck’s best album yet, and the band is showing no signs of slowing down. Hill Climber is a true must-listen for any music nerd, and is highly recommended for anybody looking for a fun album to tap your foot along to.